The holiday cottage of "Anchorage" can be found in Brancaster in Norfolk. This cottage sleeps 8 people, and has 4 bedrooms. The cottage has the following bedrooms: Bedroom 1- Large room with bespoke king sized bed; Bedroom 2- Decadent Master bedroom suite with large walk in dressing room fitted out with shelves, drawers and plenty of hanging space; Bedroom 3- Pretty twin room with two single beds and extra full sized truckle bed, bedside tables and lamps, built in wardrobes; Bedroom 4- Another twin room with two single beds and extra pull out truckle bed, bedside tables and lamps. 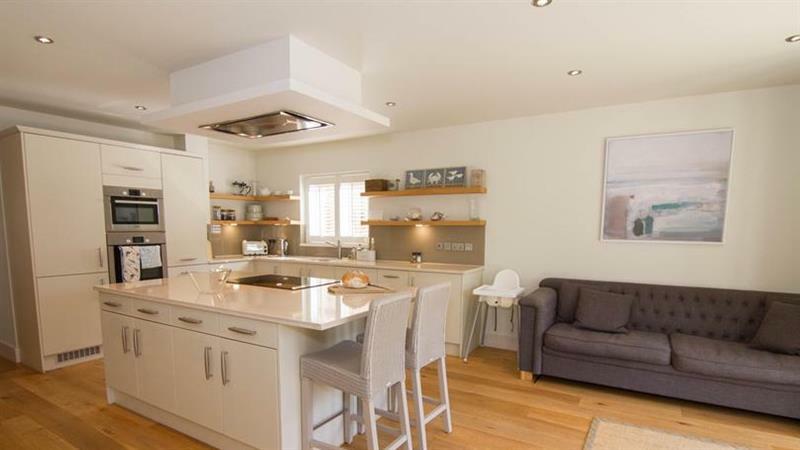 A family sized holiday cottage near Brancaster, Anchorage could be the one for you. These are the reviews for Anchorage. There are 10 reviews. 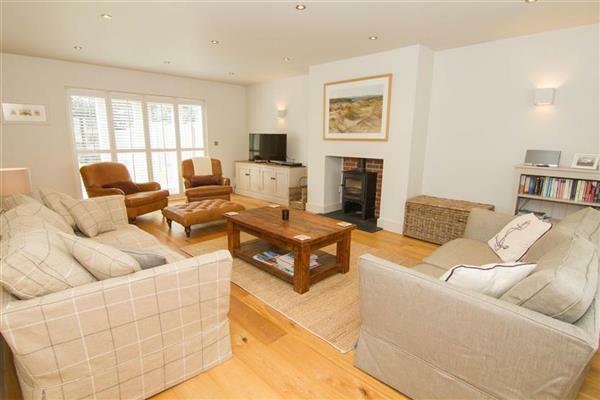 A luxury short break in Brancaster. The Anchorage was everything that we expected it to be, a beautifully presented luxury home. We chose the Anchorage for a short family break as part of my birthday celebration. The house is part of a small high quality development consisting of individually designed homes with open views out over the surrounding countryside. A perfect family house for the half term holiday. Enjoyed by three children, 6 and 4 year old twins, their parents, and Granny & Grandpa. It ticked all the right boxes! A brilliant choice. Perfect for our half term break We loved this house, it is beautiful. Very spacious for family and friends. Great location too. We would highly recommend it. We enjoyed a wonderful stay at Anchorage. We loved the house with its super interior design, space and well equipped kitchen. There are so many local places to visit and Brancaster beach is definitely one of them. I would definitely recommend this property and will hopefully return again. What a fantastic house. So comfortable clean and well equipped. A nice sized garden very safe for the grandchildren to play in. Lovely spacious kitchen/diner for family meals and jig saw puzzles. Plenty of bathrooms and a good utility room. 20 minute walk to the beach at Brancaster which is lovely. We were also very lucky with beautiful weather. What a fabulous house! Great location, close to beach and Ship Inn on a quiet development. Beautifully designed and decorated to a high standard - I wish I could take the kitchen home! The house was spotlessly clean and so well equipped - not just with kitchen utensils, but books, board games, and things for the beach. There were basics in the kitchen too, such as tea, coffee (real stuff as well as instant! ), sugar and items like dishwasher tablets. We appreciated the welcome food gifts left for us. This is a lovely spacious, bright and comfortable house and the owners have obviously gone to much trouble to ensure the comfort of their guests. It is the best house we have rented in the North Norfolk area and we are looking forward to returning as soon as possible. A well kept modern property in a superb location. We are looking forward to our next stay at Anchorage. The property was exceptionally clean and well presented and every conceivable appliance was available for us during our stay. We have stayed in many similar properties abroad Anchorge is certainly one of the best! We were very happy with the house. It matched the description and it was fitted out to the highest standard & was very well equipped. It was lovely to have a nice well equipped garden. The kitchen is fab! Great for a family holiday. If you're looking for other cottages around Anchorage, we've got some cottages below which may take your liking. There are 197 cottages within 5 miles of Anchorage - and they have reviews too.